What is the EUTR and how does it affect pallet manufacturer? 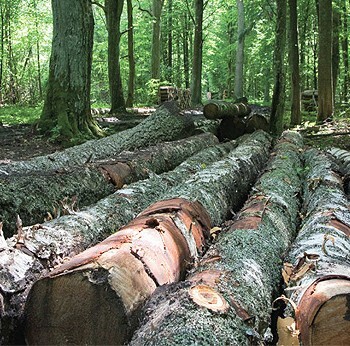 The EU Timber Regulation (EUTR) is a European Union regulation that came into force under British law in March 2013. It prohibits the use of illegally harvested timber in the EU market. Any business or individual that such timber or timber products into this market must for the first time implement a due-diligence system. This means he must assess the risk that the timber may have come from an illegal source. This must happen before the timber is made into any product and before it is treated and certified. Manufacturers of wooden pallets are affected directly by this law, whether they are using untreated timber to manufacture new wooden pallets or they repair or recycle older pallets that may have originated from an illegal timber source. Operators must use credible information about the supplier and country of origin of the timber they buy. The operator does not need to have all of this information directly but must be able to access it. The operator must have a risk-assessment procedure in place to take account of the reliability of information he receives. This includes an understanding of the prevalence of illegal harvesting in the timber’s country of origin, a long and complex supply chain, and also any indications of low risk levels such as certification of the wood and a credible verification of its legality. The operator must put risk-mitigation procedures in place if there is some risk of illegal timber in a product he is buying. The regulations do not provide any guidance as to how this can be achieved. Professional associations such as the Timber Trade Federation in Britain have developed business tools that will help companies to comply with this regulation. Other private consultancy companies – monitoring organizations that have been formally recognised by the European Commission — will also be able to provide timber companies with a ready-made due-diligence system. A trader is anyone who buys timber or a timber product once it has been placed on the EU market. The regulations state that the trader has to keep records for at least five years on timber purchases. These must specify the operator or trader from whom the timber was bought and the trader to whom the timber or timber products were sold. It is also important to note that timber products that may have been purchased before March 2013 also fall under the remit of these regulations. This means that both operators and traders have to review their stocks of timber and timber products and assess whether they may be made from illegally harvested timber. Fines proportionate to the environmental damage caused by the illegal timber harvesting, the value of the timber and the tax losses resulting from any infringement. Seizure of illegal timber and timber products and an immediate suspension of the operator’s or trader’s authorisation to trade.